Interested firms looking to do business with the Government must help themselves by learning how the Defense Logistics Agency (DLA) and other military organizations conducts its business, and by seeking out those purchasing offices that buy the products and services you can supply. The Federal Government buys, stocks, and uses over 7 million items. As a prospective supplier, you should know some basics about the system that manages those items. DoD EMALL is an electronic shopping mall that allows military and Government customers to search for, and order, “off-the-shelf” finished items from the commercial marketplace. DoD EMALL currently has 143 commercial catalogs; 81 of those are small businesses. DoD EMALL not only offers small businesses an avenue to sell to the military and Government customer but also provides an opportunity for fantastic business growth, and does not require any additional overhead costs. A variety of contractual vehicles are available for the small business. Products are purchased by Government Purchase Card or fund code depending on the contract type. Besides a large, ready-made customer base, DoD EMALL provides a supportive, knowledgeable team to help guide small businesses in developing, hosting, and maintaining their Catalogs. DoD EMALL has the ability to host regional, nationwide, or worldwide catalogs. The Supplier may use the National Stock Number (NSN), commercial part number or Universal Product Code (UPC) to identify their catalog items. The catalogs can be designed so that when a customer inputs their zip code or Department of Defense Automatic Address Code (DoDAAC), the regional pricing feature adjusts the product-shipping price according to the customer’s location. Catalogs may also be set up for tiered pricing for volume discounts. To help our military and Government customers become aware of a new supplier, the DoD EMALL Welcome page features a “Supplier of the Week” that provides information about a supplier and their products. A “Supplier Support “ page contains information of interest to the supplier such as Supplier Conferences being planned, how suppliers may enhance their catalogs with illustrations, and highlighting the environmentally friendly products in their catalog. In addition, DoD EMALL suppliers and customers are supported by a world-class help desk that may be contacted for assistance. For information on how to become a DoD EMALL Supplier, contact the DoD EMALL Help Desk at (888) 352–9333 Option 2 or visit the Supplier’s Corner at www.emall.dla.mil. Note: All EMALL Suppliers must be registered in the Central Contractor Registration (CCR) system. You may register online at http://www.ccr.dlsc.dla.mil. Electronic Data Interchange (EDI), defined as the computer-to-computer exchange of routine business information in a standard format between the Government and its Trading Partners, can be made with the help of an intermediary known as a Value-Added Network (VAN). A VAN is a third-party communication company that provides services such as electronic post offices, data translation, sorting, storage retrieval, and archiving for registered Trading Partners. Trading Partners that do not have the staff or the time to manage a complex communications network may want to utilize a VAN for receiving and sending transactions to and from the Government. A list of VANs that have completed the Electronic Commerce Interoperability Process (ECIP) and are authorized to connect to the Electronic Commerce Infrastructure (ECI) can be viewed at http://www.defenselink.mil/acq/ebusiness/policy/ebusiness/vans.htm. DIBBS is a web-based application that provides the capability to search for, view, and submit secure quotes on Requests For Quotations (RFQs) for items of supply included in the Defense Logistics Agency (DLA) Business System Modernization (BSM) Program. DIBBS also allows users to search and view Request For Proposals (RFPs), Invitations For Bid (IFBs), Awards and other procurement information related to BSM. A solicitation is any request to submit offers or quotations to the Government. Solicitations under Simplified Acquisition Procedures are called Request for Quotations (RFQ). Solicitations under Sealed Bid procedures are called Invitations for Bids (IFB). Solicitations under competitive or Negotiated procedures are called Requests for Proposals (RFP). "Offer" means a response to a solicitation that, if accepted, would bind the offeror to perform the resultant contract. Responses to invitations for bids (sealed bidding) are called "bids" or "sealed bids," responses to requests for proposals (negotiation) are called "proposals." Responses to requests for quotations (simplified acquisitions) are “quotations,” not offers. Request for Quotation (RFQ) is used in simplified acquisitions. A quotation is not an offer and, consequently, cannot be accepted by the Government to form a binding contract. Therefore, issuance by the Government of an order in response to a supplier's quotation does not establish a contract. The order is an offer by the Government to the supplier to buy certain supplies or services upon specified terms and conditions. 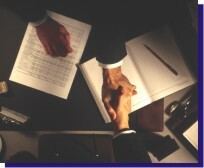 A contract is established when the supplier accepts the offer. (4) factors and significant subfactors that will be used to evaluate the proposal and their relative importance. The threshold for simplified acquisitions is $100,000. avoid unnecessary burdens for agencies and contractors. Some of the procurement methods under simplified acquisition procedures are Purchase Orders, Micro-Purchases, and Blanket Purchasing Agreements. A purchase order, when issued by the Government, means an offer by the Government to buy supplies or services, including construction and research and development, upon specified terms and conditions, using simplified acquisition procedures. Purchase orders generally are issued on a fixed-price basis. They specify the quantity of supplies or scope of services ordered; contain a determinable date by which delivery of the supplies or performance of the services is required; and, unless a special situation exists, the Government shall inspect contracts at or below the simplified acquisition threshold at destination for type and kind; quantity; damage; operability (if readily determinable); and preservation, packaging, packing, and marking, if applicable. A blanket purchase agreement (BPA) is a simplified method of filling anticipated repetitive needs for supplies or services by establishing "charge accounts'' with qualified sources of supply. Contracting Officers may establish BPAs when there is a wide variety of items in a broad class of supplies or services that are generally purchased, but the exact items, quantities and delivery requirements are not known in advance. A BPA must be in place before vendors are permitted to submit quotes electronically. A BPA is an agreement and not a contract. The Government is neither financially nor contractually obligated to place calls against an established BPA. A BPA is designed to reduce administrative costs in accomplishing small purchases by eliminating the need for issuing individual purchase orders. The BPA is established for a specified period of time, and if performance is satisfactory, it is automatically renewed for the next specified period of time. The period of time that a BPA is established may vary and is dependent on the contracting office procedures, industry, and commodities. The agreements are reviewed annually to assure contractor conformance to the terms and conditions of the agreement and satisfactory performance, as well as to update clauses. This contracting type provides for long-term coverage for small, repetitive buys that can be extended indefinitely. When the BPA is combined with electronic transmission, greater efficiency is realized. A basic ordering agreement (BOA) is a written instrument of understanding, negotiated between an agency, contracting activity, or contracting office and a contractor. A BOA may be used to expedite contracting for uncertain requirements for supplies or services when specific items, quantities, and prices are not known at the time the agreement is executed, but a substantial number of requirements for the type of supplies or services covered by the agreement are anticipated to be purchased from the contractor. Limitations. A basic ordering agreement shall not state or imply any agreement by the Government to place future contracts or orders with the contractor or be used in any manner to restrict competition. Purchases over $100,000 are made by sealed bidding, by competitive proposals (negotiation), or (in unusual circumstances) by other-than-competitive procedures. there is a reasonable expectation of receiving more than one sealed bid. It is a method of contracting that employs competitive bids, public opening of bids, and awards. Procurement by sealed bidding begins with the issuance of an invitation for bids (IFB) containing all the information bidders need to respond. The IFB states the needs of the purchasing activity and defines the work in sufficient detail to permit all bidders to compete on the same basis. It also identifies all factors to be considered in evaluating the bids. A standard form is provided on which bids are submitted, and a specific time is set for bid opening. The opening is held in public (you can attend), and the contract is awarded to that responsible bidder whose bid offers the best value to the Government, considering only price and the price-related factors included in the invitation. No discussions are allowed under sealed bidding procedures. A contract awarded using other than sealed bidding procedures is a negotiated contract. It allows flexibility in defining the exact requirement or the terms and conditions of the procurement. The purchasing office issues a request for proposals (RFP). RFPs communicate the Government requirements to prospective contractors and solicit proposals. After reviewing the proposals received, the contracting officer ordinarily will negotiate with those contractors that have submitted acceptable proposals (Note: A contract Can be awarded without discussions. ), seeking the most advantageous best value contract for the Government. Purchase Cards provides a list of contacts for credit card managers for the Department of Defense. PRO-NET lists only small businesses and can be searched for potential vendors. It's a great passive marketing tool for a small business. Since November 1, 2002, the site is a search tool for potential small businesses. Note: You must register for all federal contract opportunities will be through CCR. Central Contractor Registration (CCR) is the major registration site for all Federal Government and a one-stop registration point. Registering here will ensure that federal contract documents will have proper vendor information placed in the federal document. Also, Small Businesses can have their data placed into PRO-NET automatically once the reguired information has been inputted. Get the CCR registration form from our downloads page to help make your online registration process easier. The Department of Defense E-mall (DOD EMALL) is a site where DOD buyers look for off-the-shelf, finished goods from the commercial marketplace. Vendors who want to market their products to the DOD create an online store in this electronic mall for government buyers to browse. Learn more about the DOD EMALL. This web site provides information about issues concerning e-commerce in the Department of Defense. This is the resource everyone should go to first. Assistance is provided at the local level through co-operative agreements between the Federal Government and state, local or non-profit entities. Most of the cost of the services provided is covered through cost sharing arrangements under the co-operative agreement. All businesses, large and small, should give PTACs a try. You'll be surprised at the caliber of service offered. See our list of PTACs. These individuals are employees of the buying office and a great inside resource for you. If you don’t know who else to ask for at a buying office ask for the Small Business Specialist. This web site is the home page for the government agency that looks out for the interests of small businesses in the United States. This sub-web site lists the SBA regional offices by region. These two sub-web sites provide a variety of information of interest to women-owned small businesses. You can find subcontract opportunities at these two web sites. They list large businesses that have a contract requirement to provide help to small business in doing business with them. These directories list over 5,000 large businesses with federal contracts. Contact information for each listing is provided. The following web site will give you access to the draft and complete active solicitations for Iraq. Don't overlook the opportunities available. Good luck! These sites provide a lot of information on the General Services Administration. The FSS site will help you get a GSA number. Learn the rules for contracting with the federal government. Learn more about the FAR. DFARS is a user- friendly web site to look up the DOD supplement to the FAR. -Portal to Illinois Agencies etc. An online companion to the award winning book, we think this is a great site to learn the steps involved in winning government contracts. The following URL's are important web sites to be aware of for federal acquisition purposes. Included are some comments on the sites to help you understand their purpose. Each link below will open in a new browser window.